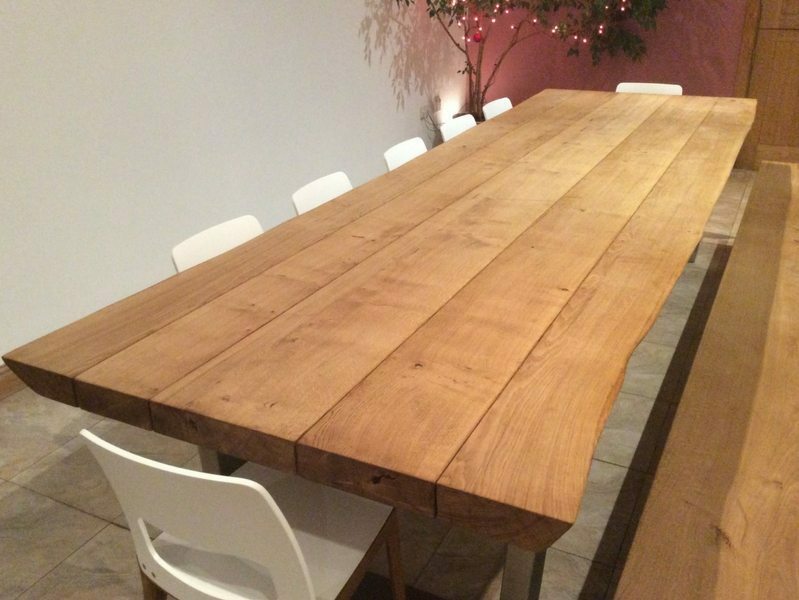 We sell a range of rustic dining tables, all made from single pieces of high grade solid oak. We make every table individually so you can choose the perfect size, and perfect style table for your space. 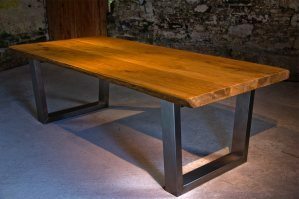 Choose one of our stainless steel base designs, or opt for a more traditional farmhouse dining table with chunky oak legs. If you’re looking for a unique rustic look, you may like our live-edge table top option. We do offer a straight edge version too. For both options you can choose either a 52mm thick top, or a chunky 65mm thick top. 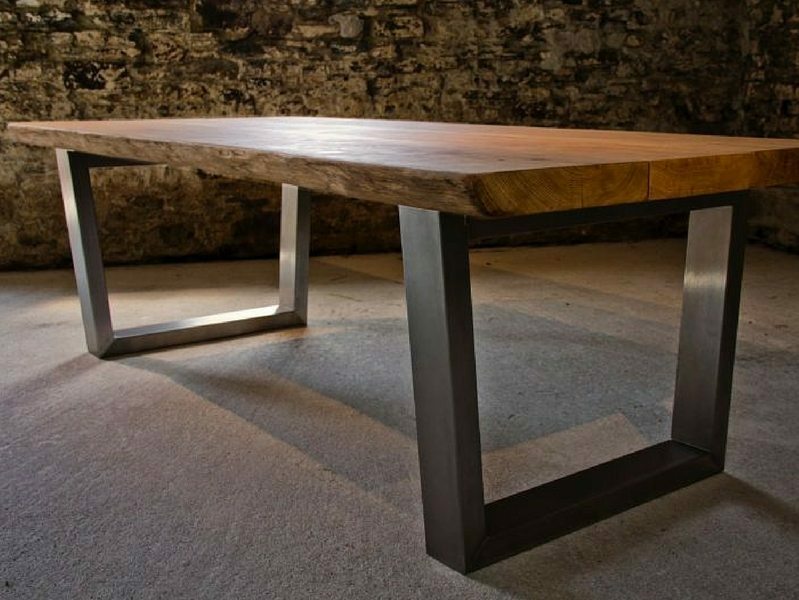 All our rustic dining tables are built to last for a lifetime so this is the only table you will ever need. 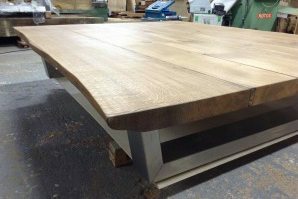 To see more large oak dining tables, visit our Large Oak Dining Table page, where you’ll find more pictures of our Komodo steel base dining table. 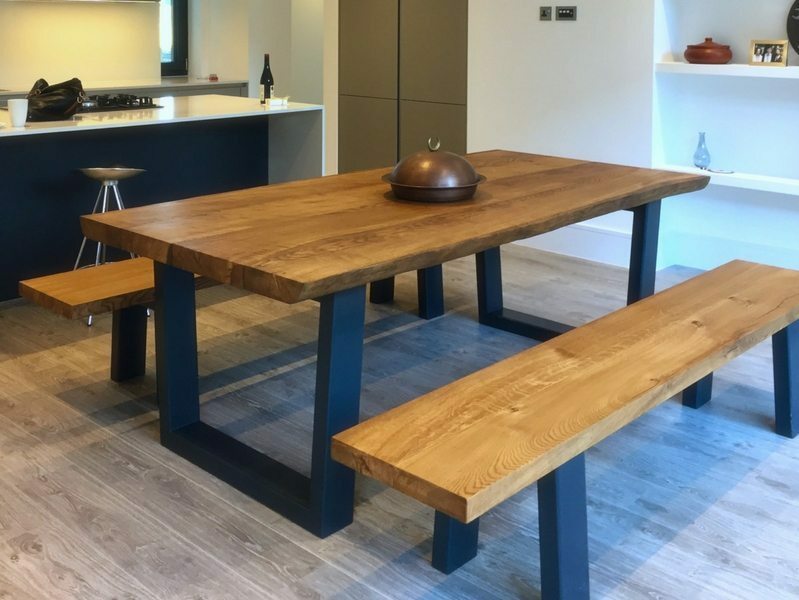 Our farmhouse dining table has 4 chunky 100mm thick oak legs, and is available with either a straight edge oak table top, or live-edge oak table top, in 52mm or 65mm thickness. 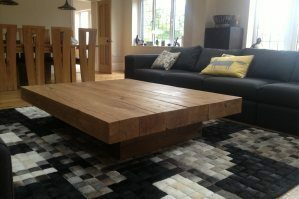 You can see more pics on our Farmhouse Dining Table page. 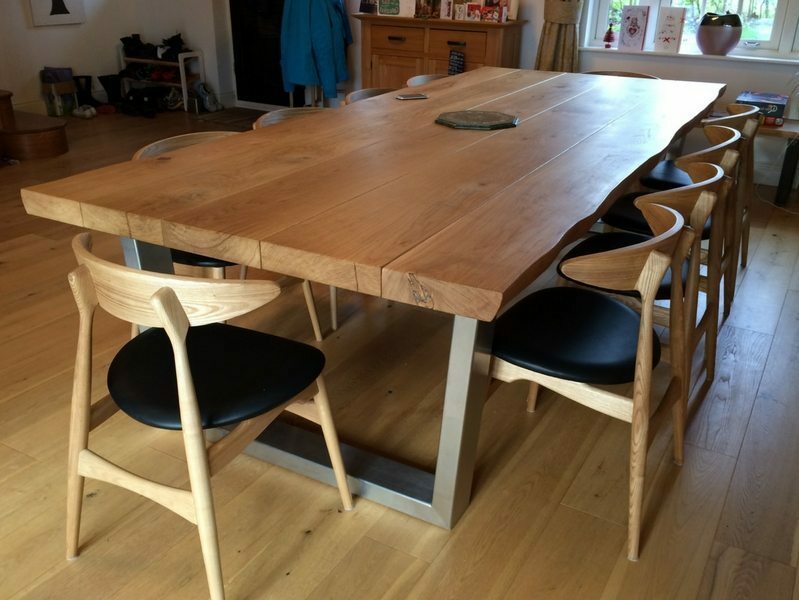 We sell a range of chairs that have been carefully selected to fit with our wooden dining tables. You can see them on our Modern Dining Chairs page. 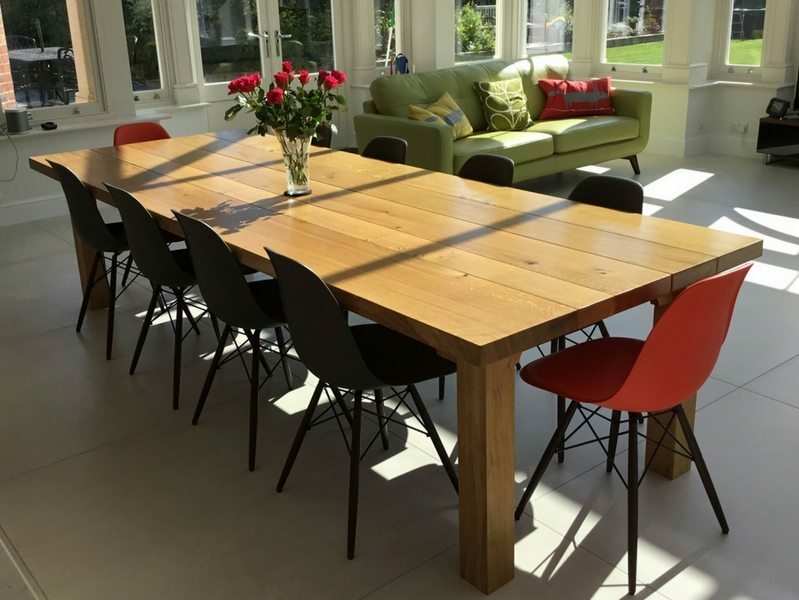 We offer a colour matching service for all our chairs, so we can match up the wood colour with your table top, or maybe you have a feature wall in your room and you’d like matching colour chairs. That’s no problem either. 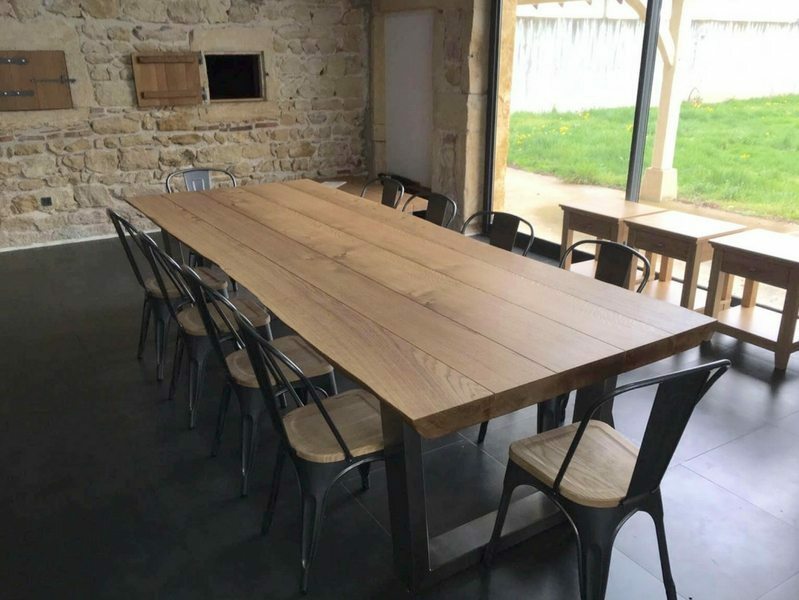 If you’re looking for a matching table and bench set, we can make your bench out of the same tree that your table top is made out of, so they’ll match up beautifully. 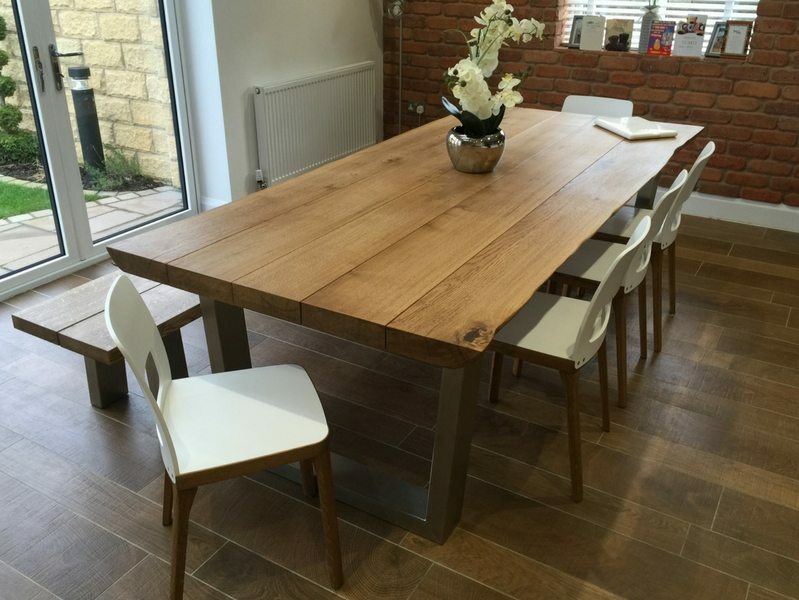 All our dining tables work extremely well as kitchen tables. The stainless steel Komodo design often lends itself very well to kitchen spaces.